Anyone familiar with South Carolina Highway 11 will recognize this roadside venue. Reminiscent of the chalets found in Gatlinburg, Tennessee or Helen, Georgia, this lodge in the Pickens County community of Pumpkintown attracts motorists searching for a fun rest stop. With convenient access to nearby Caesar’s Head, Table Rock, and Sassafras Mountain, Pumpkintown is a top destination for travelers to the South Carolina Foothills. The village of Pumpkintown was settled in the late eighteenth century and is said to have been named by a man traveling through the area who noticed a plethora of colorful pumpkins growing along the Oolenoy River. 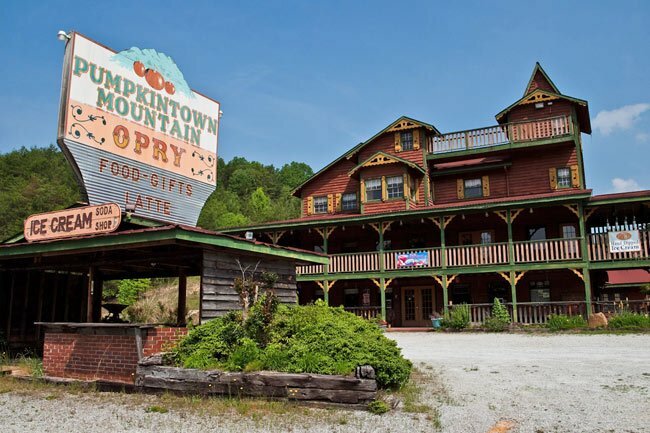 Pumpkintown remains a fixture in the landscape of the South Carolina mountains.